The cleaning guru's home-tidying tips can work just as well on your phone. If you’ve been watching Marie Kondo’s Netflix show, Tidying Up, you’ve no doubt caught the cleaning bug. Kondo’s organization method breaks down your clutter into five key areas: clothing, books, paper, komono (miscellaneous things) and sentimental items. Her mission is to “spark joy in the world through cleaning,” by throwing out anything that doesn’t make you happy. But while Kondo’s method may help keep your closets and cupboards clean, what about your phone? With six-inch screens and storage both on and off your device, it’s easy to fill up every digital nook and cranny with things you don’t need, don’t use, and just plain don’t remember. Just like it’s easy to fill your closets and drawers with shirts dating back to the grunge era, it’s easy to fill up our phones with apps we haven’t opened in years. Some might not even work anymore—backups can bring over apps that we downloaded years ago for phones that are long gone. The apps inside your drawer can be shown and organized in any number of ways, depending on your phone. Take some time to go through your app drawer. Deleting ancient and unused apps is a good start, but equally important is organizing the apps you have so you can find them easily. 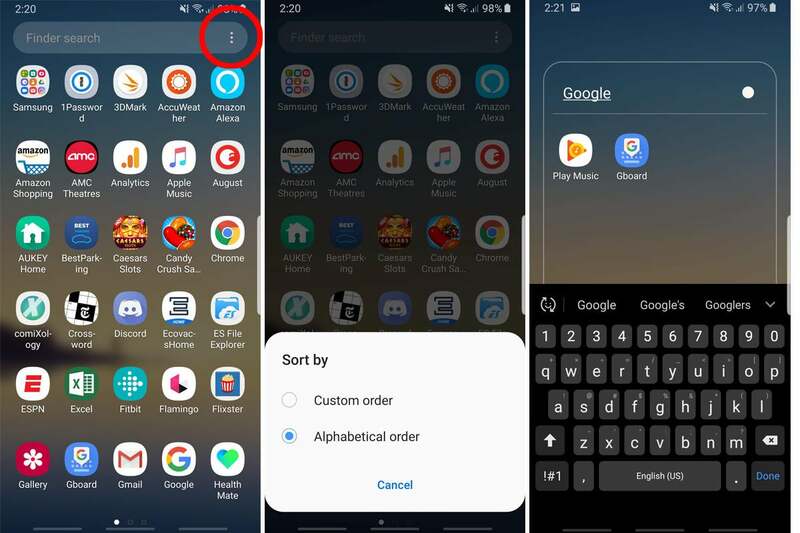 Most phones let you sort by name or another method of your choosing, and some let you sort by date installed. Try tapping the menu button next to the search bar to see which options you have. Folders are also important. Nearly every phone lets you create folders within your app drawer, so you can group similar apps for easy reference. Even just creating a “Google” folder will cut down on your clutter, as you probably have a dozen or so apps from that company in your drawer. It’s easy: Just tap and hold an app and drag it on top of another app in your drawer to create a new folder. Then name it and add as many as you’d like to it. Next to apps, the most cluttersome items on our phones are media files: books, movies, songs, videos, and the like. Not only do they take up the most space, but they can also be the hardest to mind, as they’re often tucked away inside hidden folders that you can’t access outside of their respective apps. Downloaded media files can be tricky to find. Start by checking inside any apps that might have allowed downloads, such as Spotify, Netflix, and Google Play Movies. 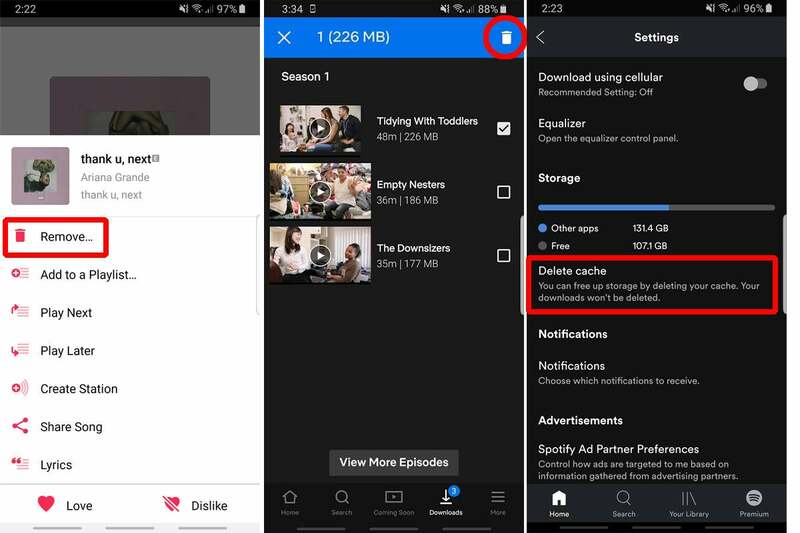 Depending on the app, you may have to delete each file individually or clear the cache inside settings. Then check the places where large downloads are most likely to live: your external SD card, and your cloud drives. There’s a reason why Google and Dropbox offer so much storage, because it’s easy to upload something and forget about it. A little digital cleaning will help—and it might even save you some money in the process. Do the same with your music library. With unlimited streaming we have a tendency to add things that we listen to only once, so keep only the songs you still want. While they won’t pile up like they would on a PC, your Android phone can be home to tons of files that aren’t doing anything other than collecting digital dust. Files can accumulate on your phone without even realizing it. 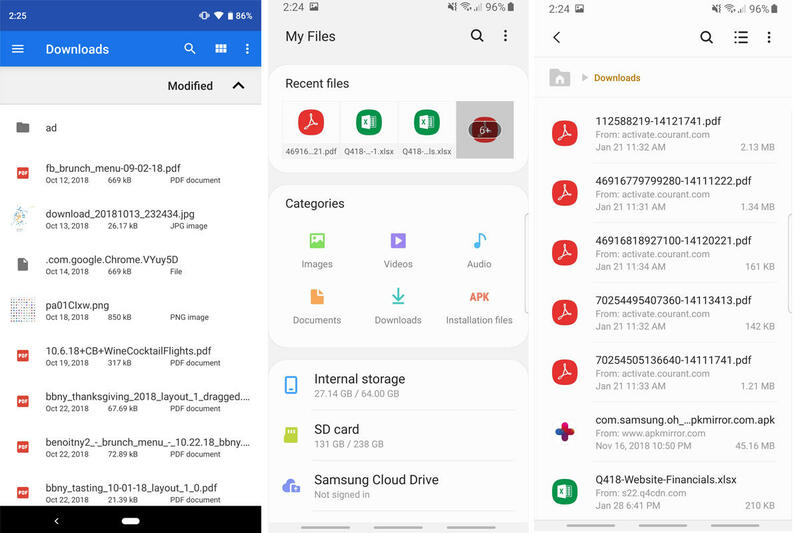 The first place to look is your documents app, which may be called Files, My Files, Downloads, or something similar, depending on your phone and the version of Android you’re using. What’s inside will be the same: any attachments, Chrome files, or other downloads you’ve collected since you started using your phone. You can probably delete most of them. It’s easy to get rid of them: Just tap and hold on a file, and tap the trash can icon. If there are any that you want to keep, create a new folder for them, where you can also stash future downloads. You can extend your digital tidying to any online services you have. It’s easy to lose sight of just how much stuff is in there. Check out your Dropbox, Google Drive, and any other storage lockers and see what can be saved and tossed. You might not think of your home screen as a place for clutter, but you’ll be surprised at how much opportunity there is for tidying up. First take a look at how many home screens you have. Some Android phones add newly downloaded apps to your home screen by default, so swipe left to check for strange apps hiding to the right of your main screen. With a little work, your home screen can be a calming, clutter-free spoace. 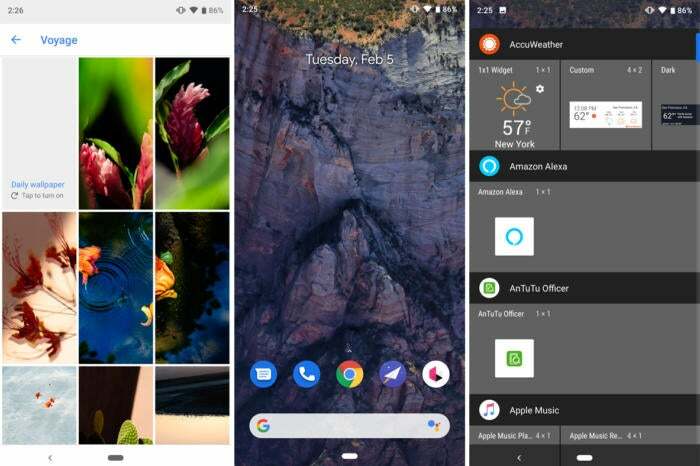 But even if you’ve already boiled down your apps to a single home screen, Kondo would probably tell you that your home screen should be limited to the apps that you open multiple times a day. Make a list of your 10 most essential apps, then rank them in order of importance. Take your top five and put them in the bottom row of your home screen. Chances are you’ll have a hard time naming more than 10 apps that you need to use every day, but if you do, try not to litter your home screen with them. At the most, add a second row and group the remaining apps into folders. With so much space available, now you can rethink your home screen wallpaper as well as any widgets you have. Pick an image that’s relaxing and doesn’t extend too far into your icon rows. That’ll act as a visual barrier to prevent you from re-cluttering. Try to limit widgets to things you actually use, like a weather widget or maybe a search bar. As Kondo says, the hardest thing to clean out are the things that mean the most, and on our phones, that means one thing: photos. Just like the shoeboxes your grandparents kept, your library keeps getting bigger and bigger. Even if they aren’t taking up physical space on your phone, they’re still adding to the clutter. Your photo library doesn’t need to be an unscalable mountain of pics. So start with the easy things. More than likely there are hundreds of screenshots, miscellaneous shots, and saved memes that can be trashed. 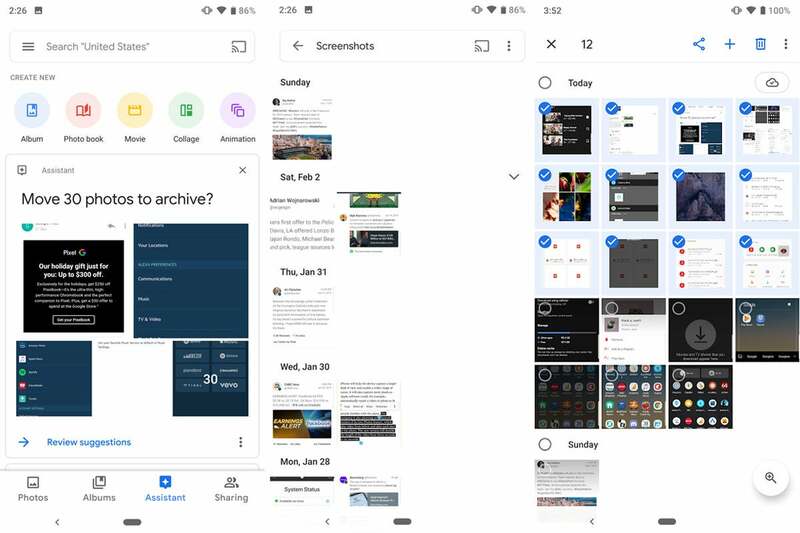 You don’t even have to search your entire library manually—just tap on the Assistant tab in Google Photos, and it’ll suggest recent photos that you can archive. You can also type screenshots into the search bar, and Assistant will filter them for deletion one fell swoop. Then you can go through your actual photos. This will take a while, so start with your oldest pictures and work forward. Duplicate, out-of-focus, and unmemorable shots can go. Just tap and hold on an image until a check appears, then select any additional photos and tap the trash can icon in the top right. You’ll find that a smaller library with only the pics that matter most will actually be more sentimental than thousands of photos that are too overwhelming to browse. 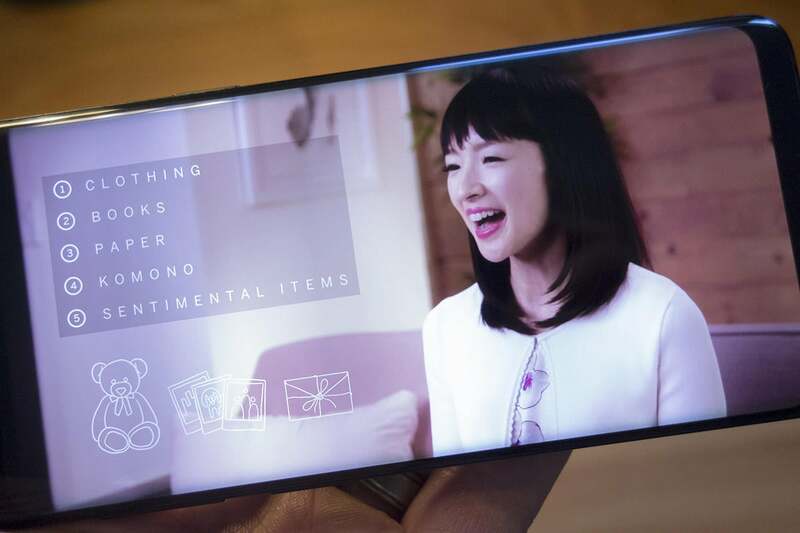 This story, "5 ways to tidy up your Android phone, inspired by Marie Kondo" was originally published by PCWorld.